My oh my, is the fall season ever a mecca for plant eaters. This is the time when roots shine. 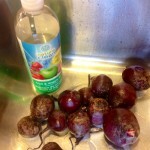 There are turnips, potatoes (sweet and white), all manner of squash, rutabaga, parsnips, carrots and of course, beets. I know, that with international transporting of fruits and veggies, we can usually get these gems year round. But there is something about buying roots when the crisp air smells like autumn leaves. We start thinking about stews, scalloped potatoes, shepherd’s pie, stuffed squash and the like. We remember the steaming and bubbling pots of our childhood and wonder how we can replicate that feeling of comfort, of safety, of security and of peace. What could be more fun than sitting around the table with family and friends when it is dark outside, enjoying mother nature’s bounty? Now that I have ditched meals made from the suffering of nonhuman beings, there is no more Cow Stew or Cow Chili or Chicken Pot Pie. Not to worry, for there is a cornucopia of recipes out there for our plant loving palates and the good news is that everyone, even non veggie eaters can enjoy this healthy way of nourishing ourselves. 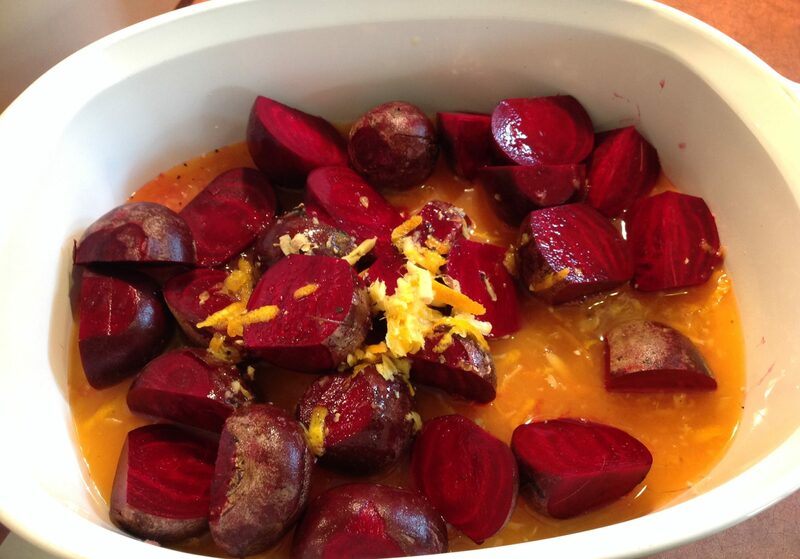 To this end, I have been fooling around with beets – Roasted Beets a L’Orange, to be exact. I have come up with this recipe which, I think, is pretty tasty. 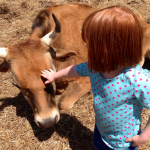 I first tested it out on my daughter. 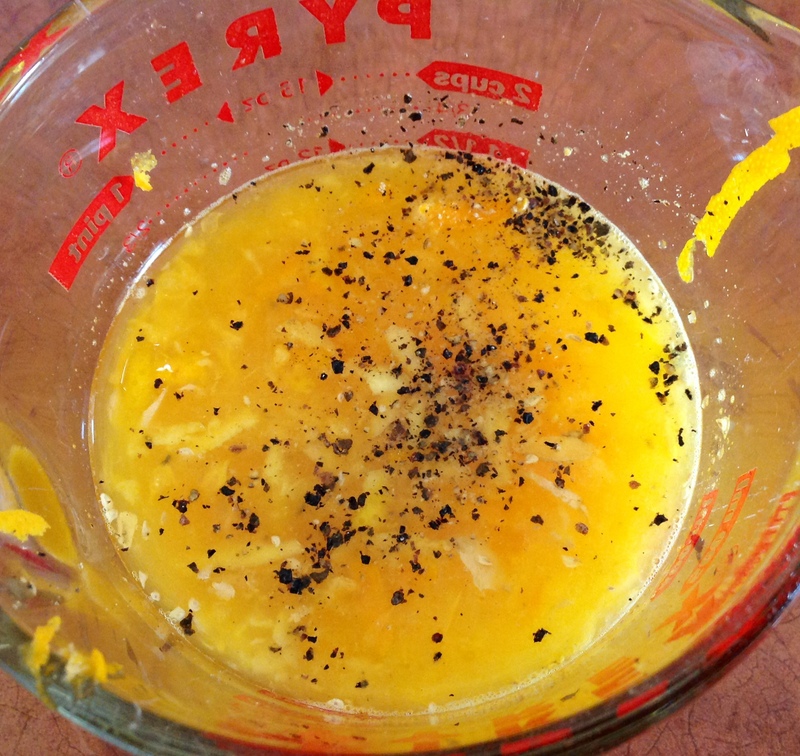 She suggested adding some salt as well as a bit of Agave Syrup to offset the strong orange flavor. I made a few other adjustments and tried it out again today. I wish that I could bottle the delicious aroma wafting thru my house. I would absolutely love to share it with you!! 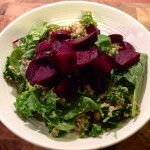 What I can share with you is my recipe for hearty, beet goodness. 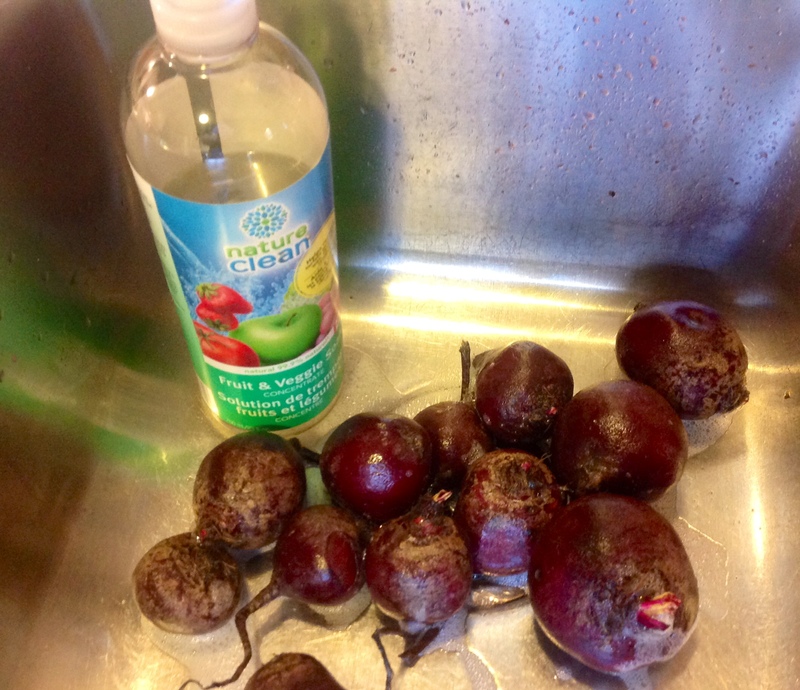 Soak beets for five minutes in veggie wash and water or one cup of vinegar and water. Scrub to remove surface dirt. Juice oranges and add water, if necessary to make 1.5 cups. Bake in preheated oven for 1-1 1/2 hours, turning every 20 minutes, until the beets are tender and the liquid has reduced and is syrupy. I scanned my fridge and cupboard and came up with a salad of kale, spinach, leftover quinoa, and chickpeas. 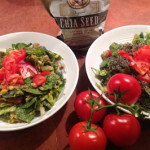 I tossed the salad fixings with Low Fat Chickpea-Tahini Dressing from fatfreevegan. I love this dressing and I use it often, but I find that I always need to add about a 1/4 or more cup of water to achieve the consistency I like. But, I leave this up to you. Beets can be boiled and roasted or grated raw, for instance. If you decide to roast them, there is no need to add oil to the dish. 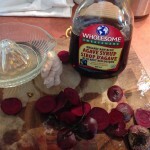 Simply add a liquid like juice or veggie broth and you are good to go. 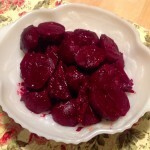 Beets are delicious on their own or as the crowning glory of a salad or grain dish. 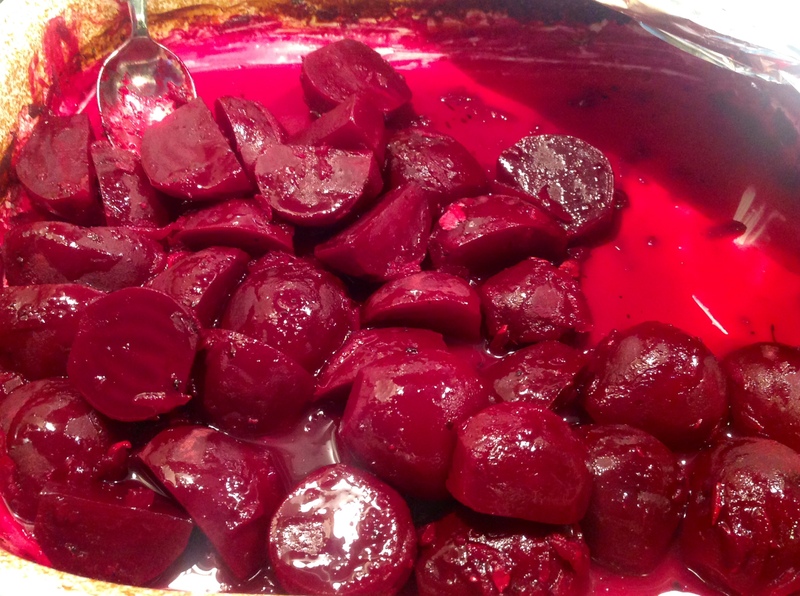 Beets, beets, one of nature’s sweet treats……. I am not a recipe developer. I leave that to the experts. But I do enjoy fiddling around with flavours. I am glad that you find the explanations and pictures helpful. My husband, who is not a cook, will sometimes make Sunday nite supper and he always comments about the lack of explanation included in recipes. Glad that you are enjoying beets these days. They are a treat. I too find the smell of beets roasting, simply delightful! Looking forward to having your comments on the recipe! Very yummy! 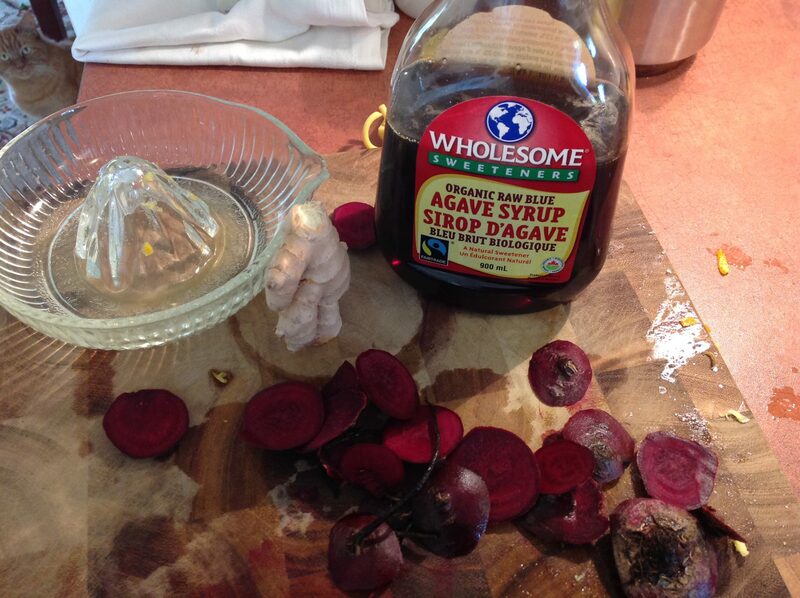 I didn’t use salt and like I said, I used beet syrup for a sweetener and it was very good! And I “halfed” the ingredients because I was the only one eating – and even though it still makes what might seem like a lot – I ate it all! 🙂 … Thanks for sharing this. It’s simple and yummy and healthy! One can never have too many beets at one sitting! LOL! So glad that the recipe turned out as you had hoped! Sounds like a great cookbook. I also like Forks Over Knives. 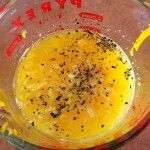 The recipes are not complicated and there is no or very little added fat. Apple crisp is a family favourite here. What is apple crisp? I have never heard of that. I must say Anne, you have really re-ignited my passion for cooking and baking with all these recipes. This one looks delicious. I have lots of beetroot still on the allotment that I need to pull up before the frosts start. I normally just boil beetroot and slice it up and put it in salads or just eat it in my hand or even in sandwiches. 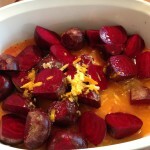 This recipe with roasted beetroots in orange and ginger sounds divine and I will try it very soon. I, like you, like to fill the house with the aromas of cooking and baking and all the fall smells. I have just made this morning another pumpkin and chocolate chip loaf. The whole house smells of sweet spices and stewed apple and pumpkin. It is a very warming and comforting smell. 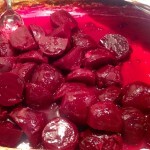 I am looking forward to roasting this beets too. They have a very earthy smell and I know they are packed with goodness. Thanks for the recipe and article Anne. I enjoyed reading it very much.